In the Araucanian Indian language, the name Futaleufu means “Big River” or “Grand Waters.” The Futaleufu is a large volume river, however, wetsuits are necessary only on cool days. The rapids are long, with large pools after almost every one. With its aqua blue water, alpine setting, and combination of large waves and boulders, Futaleufu River rafting is a must on everyone’s to-do list. 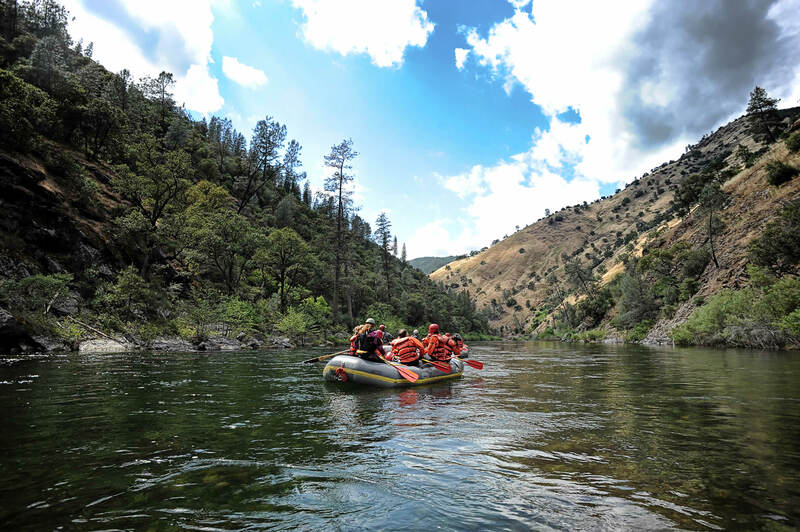 One of the original California outfitters, All-Outdoors has been offering whitewater adventures for over 40 years. Their latest expansion to Chile offers a perfect mixture of whitewater rafting, scenery and culture. Visit their website for more information about Chile whitewater rafting. 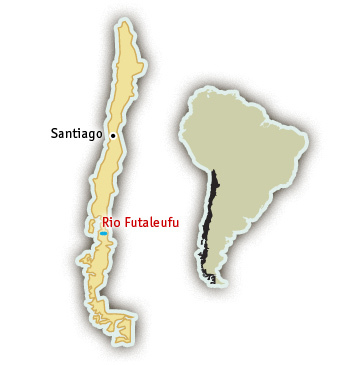 The Futaleufu river has 40 miles of raftable whitewater divided into four sections. The level of difficulty varies from beginner Class III to advanced Class V. The Bridge to Bridge section is the easiest with Class III & IV warm rapids like Mundaka and Cushion. Next comes the Bridge to Casa de Piedra section which includes Mas O Menos and Casa de Piedra, both Class V. The Terminator section is still a step up, with Terminator and Himalaya rapids, preparing you for the infamous Inferno Canyon. In Inferno Canyon, the walls are steep and the canyon narrows creating several long and continuous Class V rapids. The Futaleufu River is one of the most dramatic river canyons. Snowcapped mountains tower in the distance, waterfalls cascade down the steep canyon walls falling into the clear turquoise river. Rafting trips on the Futaleufu are much more than just whitewater rapids and rafts. The area surrounding the Futaleufu River has outstanding opportunities for canyoneering, riding horses to get a different view of the valley, and smaller tributaries to the Futaleufu are great for learning how to kayak. Chile’s summer is during the Northern Hemisphere’s winter. Futaleufu River rafting trips are available from late December through February.